Steven Spielberg is back, folks. 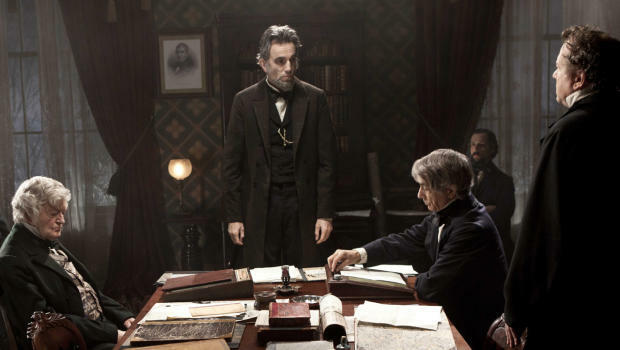 After a decade full of less-than-impressive efforts, Spielberg’s Lincoln delivers the goods. It doesn’t hurt to have one of the most stellar casts in recent memory, but there’s still quite a bit of substance in this historical biopic. 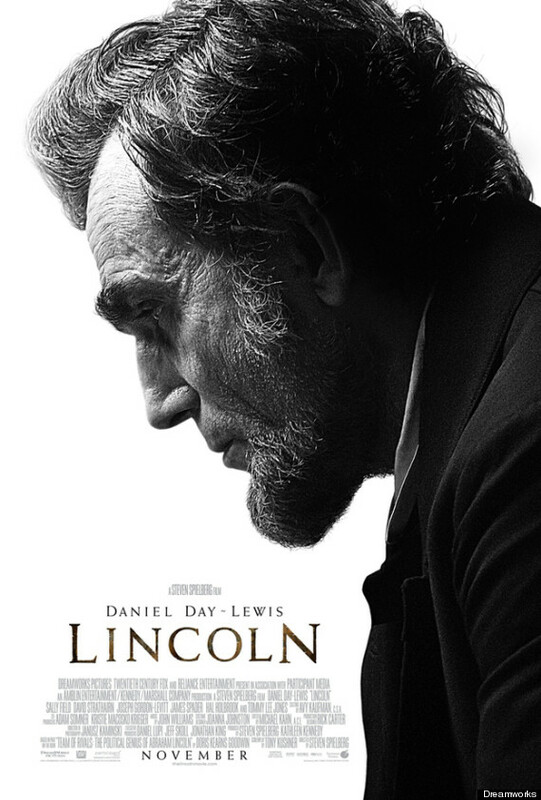 Rather than serve as a biography of Abraham Lincoln’s entire life, the film focuses on the President’s push to pass the Thirteenth Amendment in 1865, an act which would formally abolish slavery in the entire country. Naturally, with a nation already divided due to the Civil War, passing this amendment is no easy feat. The Democrats are almost entirely against the idea of abolishing slavery, and the prospects of getting the 20 extra votes needed are dire. Yet Lincoln is a stubborn, but passionate, man who will not give up until his mission is complete, even against the wishes of his advisors. This is such a critical moment in our nation’s history, and it’s remarkable to see this played out on screen. A tremendous amount of detail went into recreating this time period, with extra emphasis on the faithfully reconstructed costume design. The casting is also near perfection. Daniel Day-Lewis, of course, has been on the receiving end of constant praise for his portrayal of Lincoln, and he deserves every accolade thrown his way. Soft-spoken, intelligent and charismatic, Day-Lewis embodies the 16th President in a way that makes it incredibly clear why he was so beloved. In a career loaded with memorable performances, this may very well be his best, and it would be shocking if he didn’t win the Oscar. The rest of the cast is stacked, to put it mildly. Just take a look at some of the names involved: Sally Field, David Strathairn, Joseph Gordon-Levitt, James Spader, Hal Holbrook, Tommy Lee Jones, John Hawkes, Jackie Earl Haley, Tim Blake Nelson, Lee Pace, Jared Harris. This is basically character actor heaven. Field and Jones have both earned Oscar nods for their performances as Mary Todd Lincoln and Thaddeus Stevens, respectively, and rightfully so. The trio of Hawkes, Spader and Nelson are especially entertaining as a group of chief negotiators who will go to any means necessary to sway/bribe the Democratic voters. 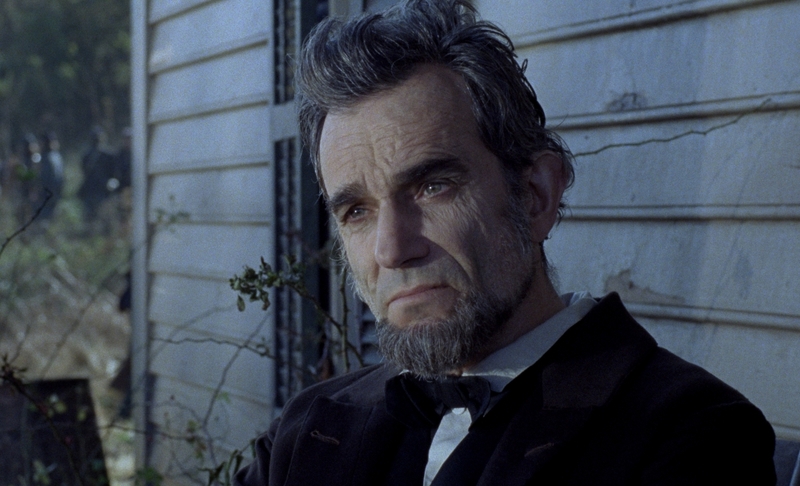 Lincoln isn’t a perfect film — Spielberg still has a habit of spelling things out for us (i.e. Mary Todd and others writing down notes such as “8 votes to win” just in case we didn’t know) — but it is a wholly engrossing one. With a heavy reliance on dialogue, the acting needs to be top-notch, and in this regard the film does not disappoint at all. Lincoln will likely clean up at the Oscars this year, and for once I will have little to complain about. Maybe not the most exciting thing to hit the silver-screen this year, but still a very entertaining flick that deserves to be seen, mainly because of the cast at-hand. Good review Eric. Yeah, the cast is what makes this film work so well. So many great performances. Thanks dude. Thanks! Bummer that you have to wait so long to see this. You’d definitely have to consider this an Oscar frontrunner… And a LOCK in at least a couple of categories (DDL, especially). I think you’re right about Spielberg… Both in the fact that this is his best film in years AND that he can still be pretty heavy handed at times. I had to leave him off of my Best Directors post, even though I really respect this film overall. Thanks man. I think Spielberg did a great job with this one, but he still could have dialed it back just a little more. At this point, I think it would be a bit of an upset if Lincoln didn’t win Best Picture (though it wouldn’t be my personal choice). Nice review. I’d say it’s Spielberg’s best film since A. I. or Minority Report. DDL was great in it. Thanks! It certainly seems like DDL is a lock for Best Actor. I didn’t like it as much as you, but it was still highly enjoyable and interesting. Thanks! Glad you still enjoyed it. Glad you liked it! I loved the parts in the House of Representatives, but Lincoln’s family scenes were dragging especially since I really hated Field’s acting. The film’s ending was butchered and went for too long but overall it had plenty to marvel at and the script was great. Yeah, the House stuff was great, although I could have done without the “8 votes to win!” notes during the big day. Agreed about the ending, too, since the last five minutes or so probably could have been cut out. Still a really enjoyable film overall. This cast is unbelievable indeed. Seems a given that Day-Lewis would embody the character he played, but for some odd reason I’m not too eager to see this. I’ll rent it though, I generally like Spielberg’s works. Yeah, this one doesn’t scream “gotta see it on the big screen!” but it really is a great movie. Spielberg’s best work in years. I think that seeing it on BD might actually enhance my enjoyment as I can rewind if I didn’t catch something or turn the captions on. When a film has a ton of dialog like this I’m afraid I might miss some key details. So yeah, I’d definitely give it a rent. over finance of the war. ‘Lincoln’ is looking —–very creepy indeed. . . It was a good movie about an interesting subject, but I wasn’t completely blown away by it. I was wondering how this would translate to those not in the U.S. Glad you still enjoyed it, Nostra. I have zero interest in this one.. Dunno why. Just wish Spielberg would go back to cool edgy stuff. I am not doubting it is good. Just not for me. Hmm, bummer to hear that, though I get where you’re coming from. If you have little interest in U.S. history or politics, this one could be hard to sit through. I’ve never thought about it before, but you are so right. Thanks! Yeah, that’s one thing that has always bugged me with Spielberg, especially in his recent work. It’s not as overwhelming in Lincoln, but still noticeable. Good review Eric. Daniel Day Lewis never disappoints. The guy is bound to make one great performance after another. Too bad we can’t keep these types of actors doing this forever. His Daniel Plainview ranks very high on my list, probably top 5 all-time performances I’ve ever seen. I’d be interesting to see Spielberg stick to more “serious” films like this one. It’s amazing what he can do when he really puts his mind to it. For me it’s clear that Spielberg is over the crest when it comes to putting out blockbuster extravaganzas, but definitely not when it comes to movies like these. Thanks, Niels. Agreed about Spielberg. I’m cool with him doing more dramas like Lincoln, especially if he can put together casts just as strong as this one. Eric, I’m pretty much with you on Lincoln. I agree with the other commenter who mentioned that Field wasn’t so great, but that’s a minor issue. I also think Spielberg hits the nail on the head a lot, but the actors sell the material so well that it works. Beyond Daniel Day-Lewis and Tommy Lee Jones (both great), James Spader and David Strathairn stand out for me. Even small parts like Lee Pace’s arrogant Democrat work really well. Very strong movie. Dan, you’re absolutely right about the cast. This film could have easily ventured on the line of mediocrity if it didn’t have such strong performances to anchor it. Kind of reminded me of Flight in that way, which relied heavily on Denzel. I haven’t seen Flight (the trailers didn’t excite me), but what I’ve heard has pretty much matched what you’ve said. People rave about Denzel, but aren’t so thrilled about the movie and its story. Is it worth seeing? I think I liked Flight a little more than most. It’s a bit heavy-handed at times — a few of the music choices bugged me (i.e. the too obvious “Under the Bridge” playing while a junkie shoots up) — but it’s still a really interesting look at one man’s addiction. It’s worth seeing for Denzel’s performance, as well as the very intense opening crash scene. I enjoyed this film so much. and DDL hit the nail on the head. I felt that Joseph Gordon-Levitt was highly unnecessary and didn’t really fit in and thought that was a shame. That’s an interesting point about JGL, and I’m inclined to agree with you on that. While I enjoyed seeing JGL on screen, especially when paired with Day-Lewis, he didn’t really add much to the film. I guess it helped emphasize that Lincoln wasn’t a perfect man, but that story arc probably could have been fleshed out a little more.